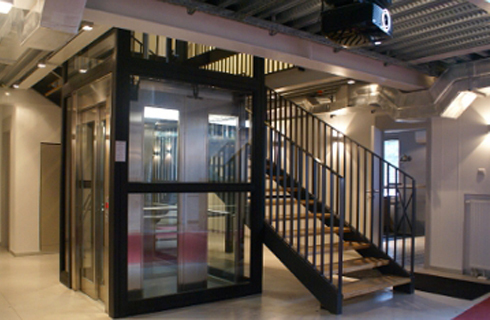 GMV supplies complete systems for the replacement of existing lifts or for the installation of new lifts in buildings without lift so far, in compliance with the recent safety standards (EN 81.20 and EN 81.50). 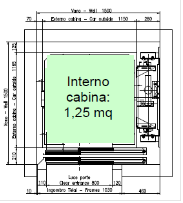 GMV ‘s wide product range provides electric systems with or without machine room or with a “machine room cabinet”, to replace electric elevators with a machine room, and even the Green Lift® Fluitronic® (GLF) as well, to replace hydraulic and electric systems with travelling heights up to 16 – 19 m.
Compliance with the standard EN 81.70 concerning the elimination of architectural obstacles. 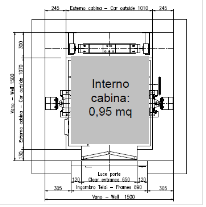 Significantly improved performance and travel comfort (gradual and imperceptible accelerations and decelerations and accuracy of leveling to floor) due to the VVVF inverter driven motor. 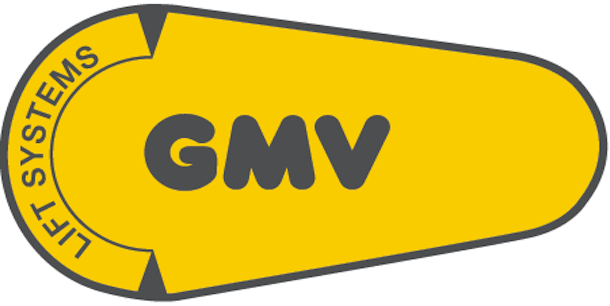 GMV supplies electric lift systems to replace those with machinery placed in the machine room. 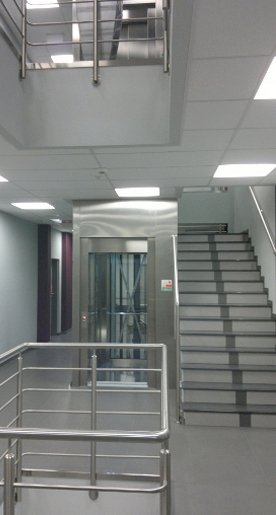 By choosing the Green Lift® Fluitronic® to replace an electric lift with up to 6 stops, there is no need of a counterweight (which is part of electric lifts) and the surface area of the lift car is increased of up to 30 %. 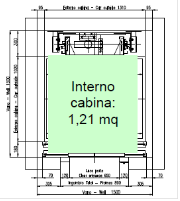 For example, the typical mechanical elevators with load capacity of 320 kg (4 persons), which were frequently installed in Italy during the 60s and 70s, may now be replaced by lifts with fluitronic technology with load capacity of 450 kg (6 persons). 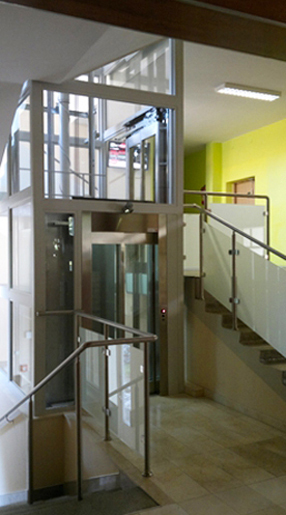 To install a lift system in a building (normally in the staircase), where today frequently Home Lift solutions are installed (which have the disadvantage of being very slow), GMV recommends the use of a Green Lift Fluitronic ® in compliance with the standard EN 81.21, with reduced pit and/or head, or in the version with the pit 450 mm and a speed of 0,30 m/s. 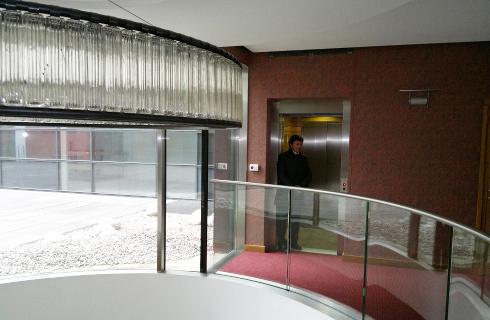 The possibility to extend the warranty to 10 years, for all passenger lifts. 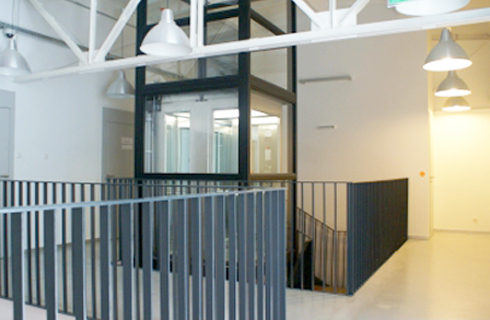 The option of replacing the existing elevator in 2 steps (first the electric part, then the rest) in order to reduce the operational standstill time. 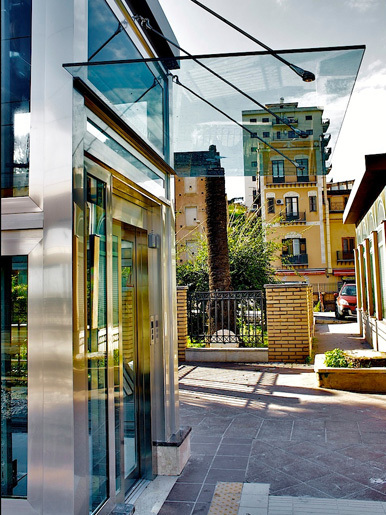 We modernize with passion and talent.